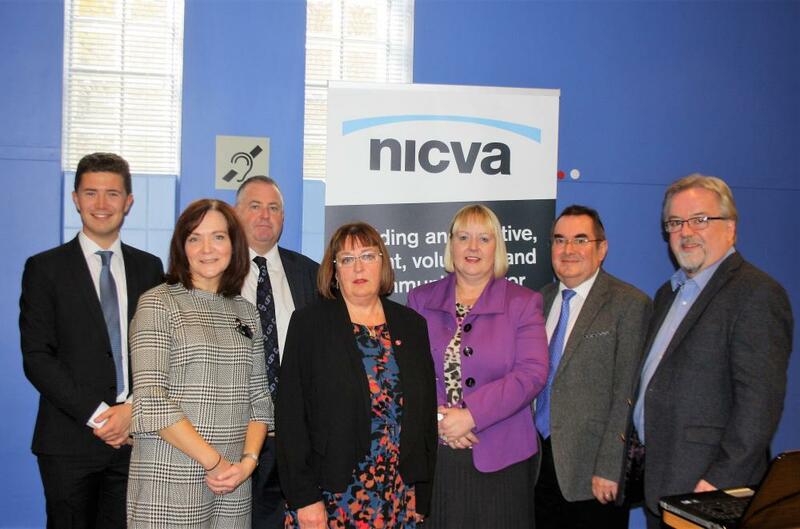 It was great to see over 80 members at the Building resilience and managing risk members' event on 12 November in NICVA. It gave us the opportunity to network and learn from the experts to improve our organisations. We are all living and working in challenging times with tighter budgets, increasing demand for our services and an uncertain and unstable political environment. This calls for not only resilient organisations but organisations that are led by a desire to fulfil our missions, make change happen and see positive outcomes for society. Our members’ day aimed to equip us to be strong and well governed organisations ready to deal with the challenges we face. Rosemary Peter Gallagher partner with Moore Stephens gave us a comprehensive update on charity finances, leaving us with plenty of food for thought. She started with an update on SORP and then spoke about how Making Tax Digital requires VAT registered businesses with taxable turnover > VAT registration threshold to keep records in digital form. She went on to highlight the importance of getting reporting to The Charity Commission NI right, making sure reports were in on time and all the relevant documents submitted. Rosemary also outlined the how charities are treated re Tax and what trading means and doesn’t mean for charities. She has kindly made the slides available as a resource. Nicola O’Neill, from Marsh, then spoke about the importance of business continuity plans (BCP), describing the benefits such as safety of staff and clients, ensuring right resources are in place, reducing cost of disruptive events and improving long-term resilience. She said that BCP was all about people – looking after your people when something goes wrong, developing resilience in people to deal with crisis situations and looking after the people who depend on your organisation. She ended by asking us - How prepared are you to deal with a disruptive event today? – giving us useful tips and advice. Olwen Lyner CEO of NIACRO and NICVA board member then gave us a member’s perspective. Firstly, she said that “Everything resides around your mission and values…go back to them regularly to plan and future proof what you do”. She also talked of the importance of her networks for information, intelligence and support. She encouraged us to consider the skills of our staff and to ensure that policies and procedures were relevant and up to date. She reminded us that “Above all its about your reputation” – that will allow you to weather the storm and continue to do what you well. After the interesting line up of speakers we moved into the workshops. There were four topics, all things our members had been asking us about – Fraud and Anti-bribery, Developing business continuity template, managing safeguarding risks and data governance. All four workshops were delivered in morning and then again after lunch. The place was buzzing as people learnt, discussed and picked up valuable advice and tips on how to manage various types of risks. Review our BCP and cyber security review fraud info on website and fraud controls. Examine our business continuity arrangements make the risks of fraud made specific within our risk re system. Thank you all those that came along and made the day such as success - to all our speakers and workshop facilitators and to Moore Stephens who supported the event.